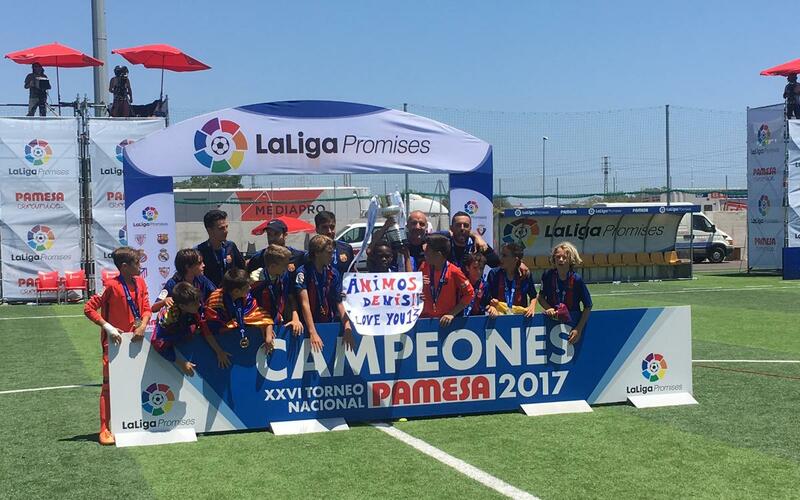 FC Barcelona U12s claimed the LaLiga Promises title with a 3-1 win over Villarreal, taking La Masia's total trophy haul for the season to 14 plus a Copa Catalunya. They started with a 2-1 win over Atlético Madrid in the semi-finals, overturning the one-goal deficit with strikes from Pau Fernández and Jan Molina. The youngsters then put in a perfect display in the final. They went ahead with a goal from Gerard Hernández, who headed in from a corner. The second goal came in the second half with a well-taken effort from Iker Bravo. Villarreal got back in the game soon after to make it 2-1, but Gerard Hernández then made it 3-1 with a strike from inside his own half. The youngsters have a few days of rest before setting off for New York to take part in a new edition of the International LaLiga Promises.